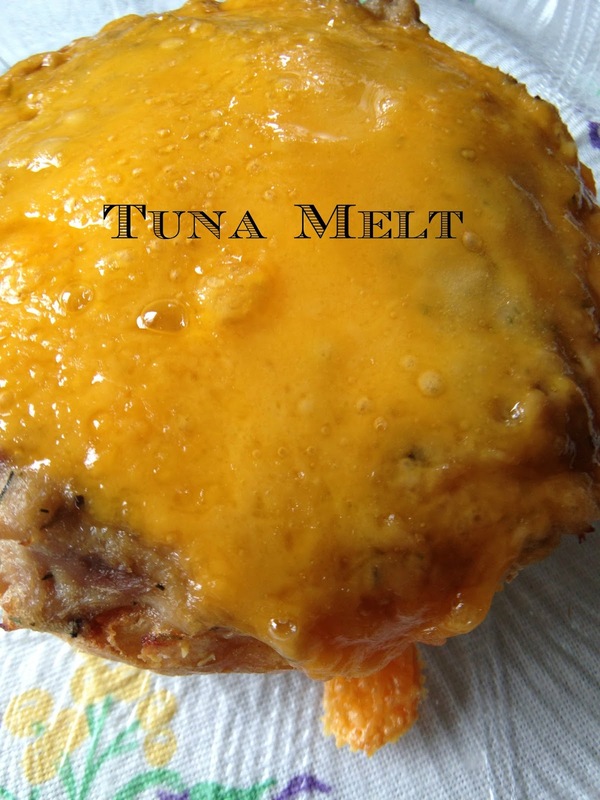 When I see Tuna Melt on the menu, I immediately think of a 1950’s roadside diner, a mom and pop, jukebox joint where Salisbury Steak and Open Face Sandwiches are also featured on the menu. In my book, a Tuna Melt is a true ‘retro’ recipe. A few simple ingredients can turn a pouch or can of tuna into a satisfying and affordable meal. For this recipe I combined two pouches of lemon-pepper tuna, a few tablespoons of mayonnaise or salad dressing and dried dill weed. 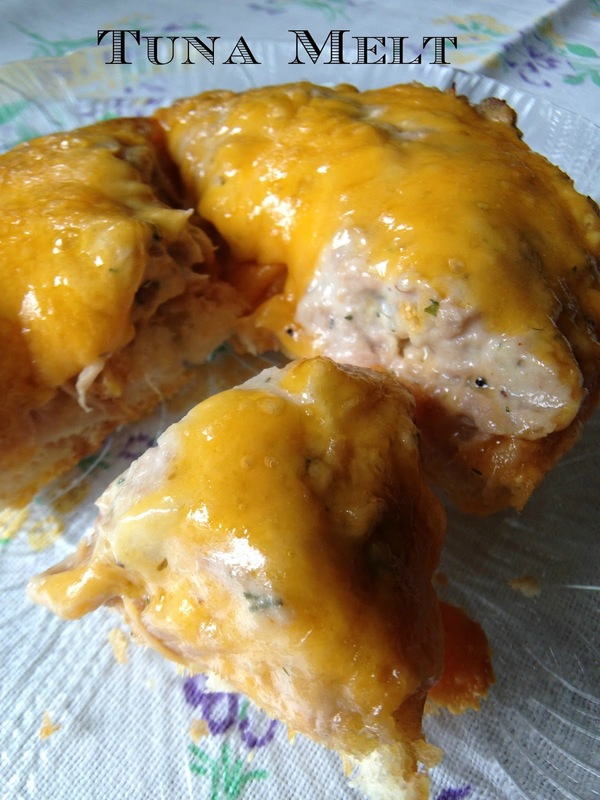 Lightly toasted English muffins are topped with the tuna mixture. Now I know many people will say this isn’t a true classic, ‘retro’ tuna melt because I didn’t top the tuna with an American cheese slice. Shame on me. I decided not to top my tuna melt with American cheese slices because I really don’t care for them. Maybe it’s because I live in Wisconsin, America’s Dairyland, and I know what good cheese is and the many varieties of cheese that are out there but American cheese slices seem rather waxy and rubbery to me. 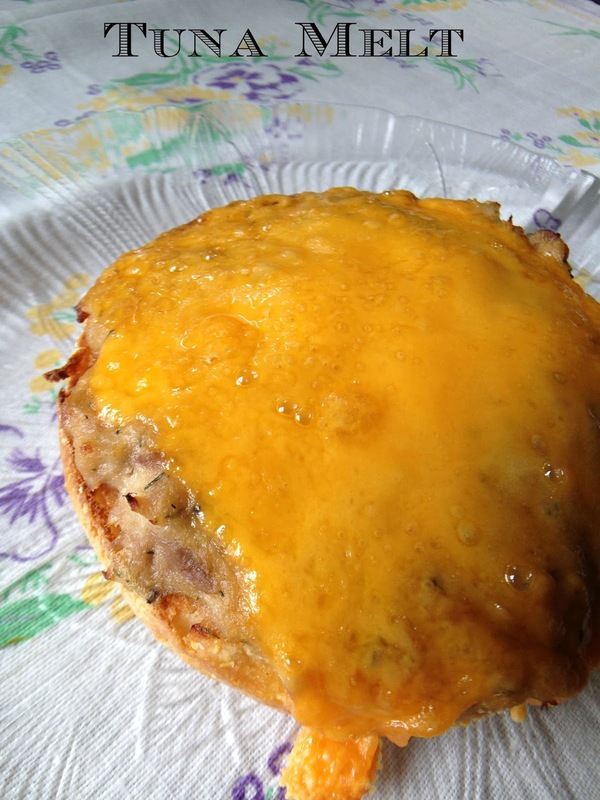 Now in a pinch I have used American cheese slices before in this recipe (my hubby loves American cheese) and they do make a nice grilled cheese sandwich but over all I prefer not to use American cheese slices. Don’t get me wrong, I like and use cheese whiz, Velveeta cheese and processed cheese slices but each has its specific recipe. Preheat broiler and set the rack about 4 to 5 inches from the heat source. In a medium bowl, stir together lemon-pepper tuna, mayonnaise and dried dill. Set aside. Place toasted muffins on a baking sheet. Spread tuna mixture on toasted muffins. 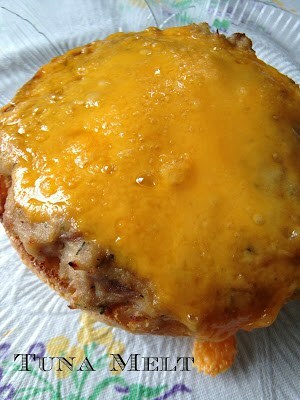 Place cheese on top. Place baking sheet under broiler and broil for 3 to 5 minutes or until cheese has melted.